REBEKAH BROOKS WILL return as chief executive of News UK on Monday, Rupert Murdoch’s News Corp has announced. Brooks resigned in 2011 in the wake of the phone-hacking scandal. She was given a £16 million (€22 million) payoff by News Corp.
Murdoch closed the News of the World as a result of the controversy. Last year, Brooks was cleared of all charges. News UK publishes of the Times, Sunday Times and the Sun. Brooks will replace Mike Darcey, who has been CEO since 2012. In a statement released today, Robert Thomson, Chief Executive of News Corp, said: “Rebekah will lead a great team at News UK into the digital future, while maximising the influence and reach of our newspapers, which remain the most informative and successful in Britain and beyond. The organisation also announced that David Dinsmore will become News UK’s Chief Operating Officer and Tony Gallagher will replace him as Editor-in-Chief of The Sun, Britain’s largest selling daily newspaper. 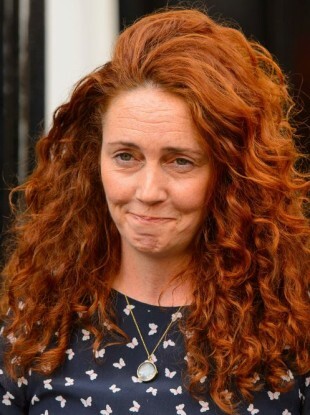 Email “Confirmed: Rebekah Brooks is back in charge of The Sunday Times and The Sun”. Feedback on “Confirmed: Rebekah Brooks is back in charge of The Sunday Times and The Sun”.